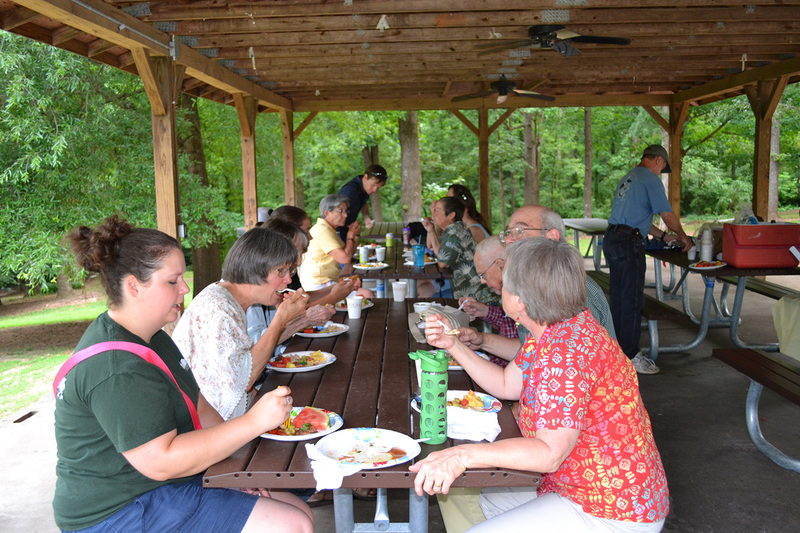 The Oconee Rivers Audubon Society's June Meeting and Picnic was a hit. All officers will remain in their current positions except Alison Huff will be taking over as Treasurer and Corey McQuinn will be helping Liz with the newsletter. Many thanks to Eugenia Thompson and Mary Case for their service. Many delicious dishes were brought for the picnic, and enjoyed by all. 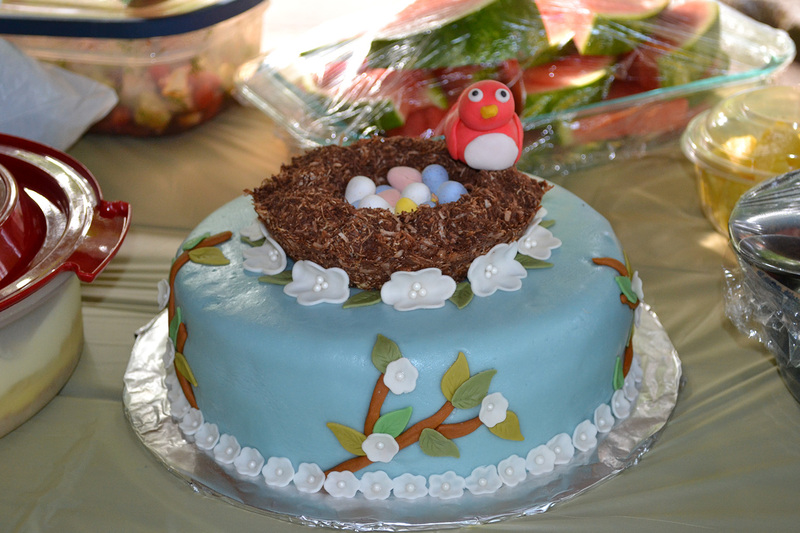 But the major hit was this incredible cake brought by the Neves. Join us Thursday, June 5 @ 6 pm in Memorial Park at Shelter #1 for our annual picnic and potluck. We'll reflect on the past year and vote for our new board members. Bring a dish to share and binoculars for birding. We will also solicit any ideas and input you might have to continue to improve Oconee Rivers Audubon Society and to help us achieve our mission"... to promote the preservation and restoration of wildlife habitat through environmental activism and community education." Hope to see you there! The director of Georgia’s premier river-conservation association will reveal some of the natural treasures of the state’s waterways at the next meeting of the Oconee Rivers Audubon Society, set for 7 p.m. Thursday, May 1, at Sandy Creek Nature Center. Come a little early for snacks and birder banter. April Ingle, executive director of the Georgia River Network, will also provide an update on efforts to protect rivers throughout the state, from whitewater streams in the north Georgia mountains to blackwater rivers like the cypress-lined Suwannee near the Florida border. Ingle’s presentation, “Protecting, Restoring and Enjoying Georgia’s Rivers,” will feature first-hand adventure stories and photographs from Paddle Georgia, the Georgia River Network’s annual week-long paddle trip that explores different rivers every summer. While most birds appear to stay with the same mate during the breeding season or even for life, recent advances in molecular genetics have allowed researchers to discover that appearances can be deceiving. Among the vast majority of seemingly monogamous species, dalliances outside of the pair bond are surprisingly common. Lehmicke will discuss the potential costs and benefits of straying, using evidence from her own research on seaside sparrows and some scandalous examples from other scientific studies. Lehmicke, who recently completed her Ph.D., has been working with birds since her freshman year in college and became interested in genetics during a conservation genetics class while at the School of Forestry and Natural Resources. 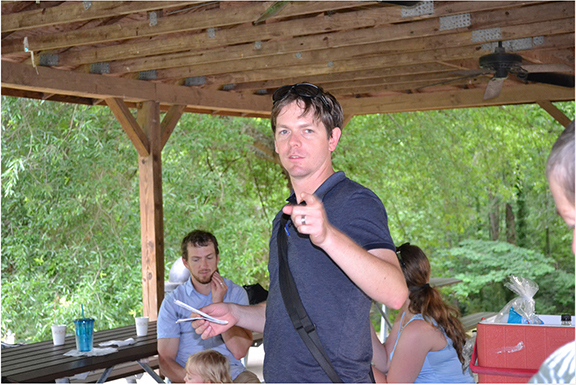 Join Oconee Rivers Audubon Society for our next meeting on March 6. Whether you have a half acre or 10, there are many things you can do to make your yard more bird-friendly, and the leader of the Georgia Ornithological Society (GOS) will present some expert tips at the Oconee Rivers Audubon Society’s next meeting, set for 7 p.m. Thursday, March 6, at Sandy Creek Nature Center. GOS President Steve Holzman will present “Birdscaping Your Yard,” offering suggestions for some great flowers, vines, shrubs and trees you can add to help attract birds and protect them from hazards. The program will feature a brief discussion about how you can join Audubon’s Backyard Wildlife Sanctuary Program. 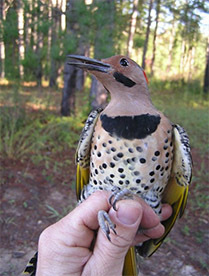 Charlie Muise, Georgia's Important Bird Area coordinator, has a number of opportunities over the next few months for volunteers to participate in bird banding operations at Joe Kurz Wildlife Management Area and Panola Mountain State Park. If you have ever wanted to see birds in the hand and contribute to a long-running bird banding project, this is your chance.